In our practice, we have been struck by the presence of central hypoxemia in individuals with congenitally corrected transposition of the great arteries (CCTGA) with an atrial septal defect (ASD) as the only association, despite existence of normal pulmonary artery pressures. This right to left shunting at the atrial level occurs only in those patients where there is additional presence of apicocaval juxtaposition (ACJ). Patients with CCTGA but without ACJ manifest only left to right shunting at the level of the ASD. 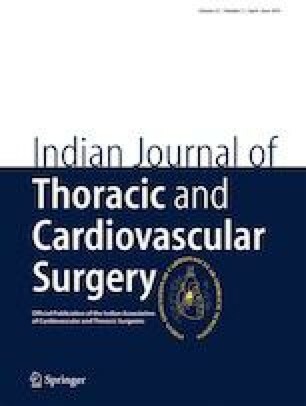 We present a case series of patients with CCTGA with intact ventricular septum and incomplete atrial septum with a possible basis for this phenomenon. The online version of this article ( https://doi.org/10.1007/s12055-018-0771-7) contains supplementary material, which is available to authorized users. We declare that there has been compliance with the ethical standards as per the journal protocols and informed consent was obtained from all participants.